Hike It Baby is non-profit community website with 150,000 members in 300 branches worldwide. Interaptiv is their primary development partner, keeping the websites running fast enough and lean enough to keep up with the exponential growth Hike It Baby continues to experience. Their inspiring vision coupled with our technical expertise has allowed Hike It Baby to overcome the considerable obstacles their rapid growth has introduced. Together, we’re now in a position to not only scale confidently to the next levels of engagement, but also continuously add the features that members have been clamoring for. 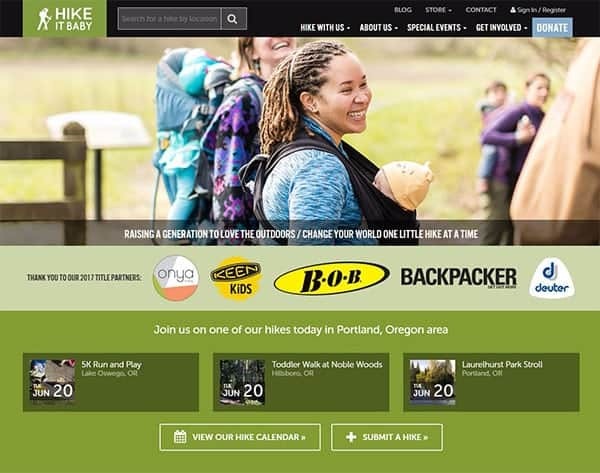 Hike It Baby started a few years ago as a small, local, community site in the Pacific Northwest. 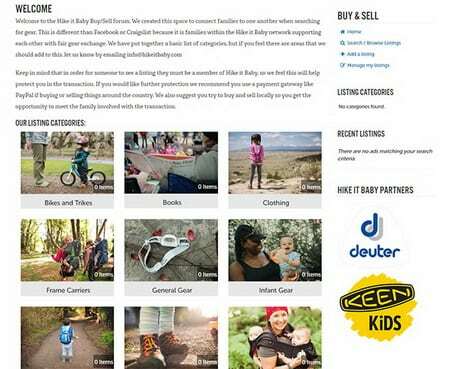 As with many organic startups, the focus early on was on simply enjoying the success of the main mission — to make it easier for new parents to find like-minded souls to hike with, on trails that are friendly to hikers with toddlers and newborns. It’s a really good idea, so growth came naturally. And the growth was a great thing, until it started to impact the hub of the community, the Hike It Baby website. The founder and her board found themselves in a catch-22: they had thousands of happy members, but those members were using greater and greater amounts of computing power to service. They started doing what many do — they ordered a bigger server with a faster internet connection. That helped for a while, but was just a band-aid. They realized that they needed to spend some money to upgrade the site itself. The money would come from charging their members a tiny fee in exchange for the valuable resource they were offering. The only problem was that the site was so popular that even bigger, multiple servers weren’t able to run it smoothly without a code overhaul, and they were afraid that people wouldn’t pay for a site that took forever to load. We came on board at that point, and after running the code on our staging servers, we were able to identify some issues with their database schema. We thought that if we could fix those issues, they would gain enough spare room to be able to launch the fee request and enable the revenue that could be used to further enhance the system. And we were right! We had noticed right away that, while the vast majority (>90%) of the hikes requested by users were in the future, the system was loading all of them every time a user requested a listing, and every time a user performed a search. Hmm. 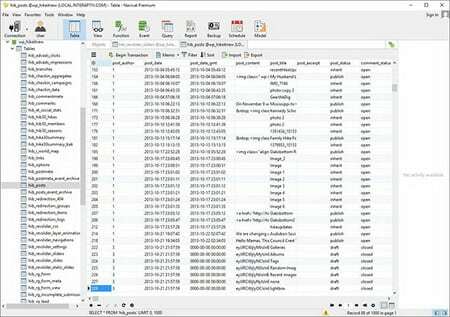 The first order of business was to split the database tables so that the most commonly-requested items would be served first, and served out of memory rather than from disk. We made the changes, tested on our servers, and found unsurprisingly that the site response time increased substantially while the server load was equally reduced. We then wrote a script to automatically move the old hikes as they “expired” (their day came and went), and made sure that all of them were still available in the event that a user wanted to view hikes from the past, link to them from social media, or use them as a template to create a new hike posting. We tuned and optimized the database, tested methodically, and then rolled the changes out to the production servers. Site load times went from 8-15 seconds down to 0.5-2 seconds. Everybody was happy. We were now free to begin work on the many features that the founder and members had dreamed up. The first one was the pay wall. Because many of the Hike It Baby members had found the site through Facebook, we needed to integrate the paywall with both the main website’s user base/sign on code and Facebook’s sign on code.We also had to make sure that we didn’t create duplicate accounts for users, and since they were now paying, we needed to make sure that the account they submitted payment on would continue to work if they decided they wanted to sign in through Facebook. We also had to make sure that the single sign on worked for any of the other, future sites the client had in mind. We coded it to use a shared token, and added checks for it at various places in the website — on the home page, the listing pages, and the search page. We added logic to determine the context in each place, and added messaging to the user to minimize confusion. 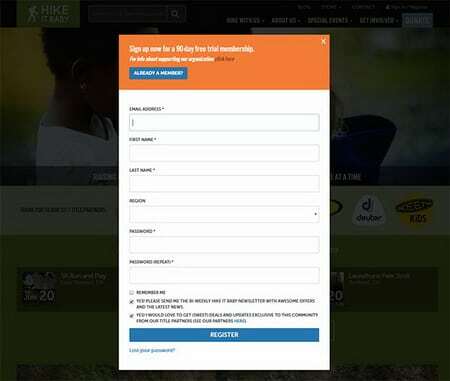 The result is a seamless experience for the user: if they’ve never been to the website on the current browser, they get a dialog box asking them to create an account and become a member. They can either pay right then or use a limited free trial. If they’ve been to the website and signed in, they simply get a sign-in dialog. 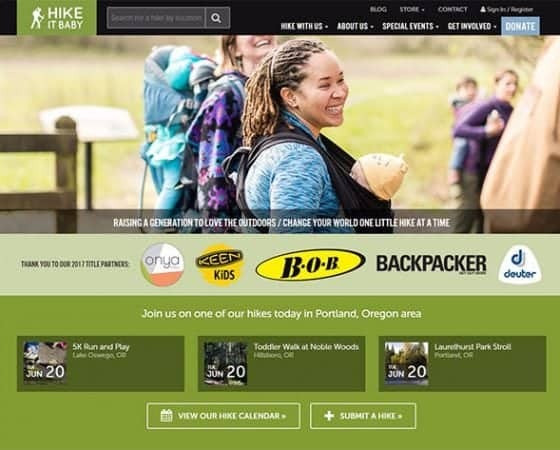 They can use either their Hike It Baby credentials, or they can sign in with one click via Facebook’s API, a feature that made the vast majority of Hike It Baby’s core users very happy. The project was a huge success, and solved one of the major issues facing the client while keeping their users engaged and delighted. We’ve since added a Buy and Sell marketplace that allows members to post items for sale and offer them to other members — kind of a non-creepy Craigslist for members only. The client hopes that the Buy and Sell marketplace will strengthen the bonds between the members, and make the entire community stronger. The community is organized around geographic areas, and volunteers (Ambassadors) coordinate the local branches of the community. 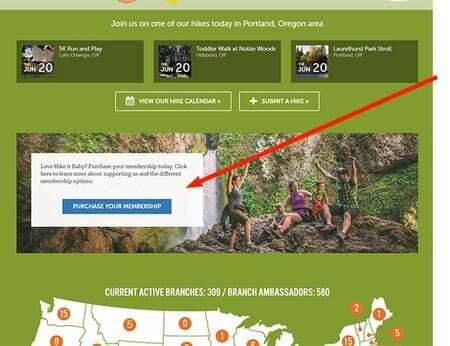 Among the many things we have in the pipeline are back-end tools to help the Ambassadors manage not just hikes, but communication with their local members. Click here to check out hikeitbaby.com’s website. If you’re having issues with growth, scaling, or just seemingly intractable problems with your website, drop us a line. We love what we do, and we’re pretty good at it.